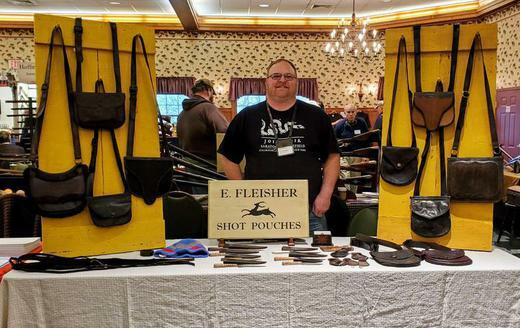 I began making 18th and early 19th Century Shot Pouches in 2008. All of my pouches are hand stitched with waxed linen thread. 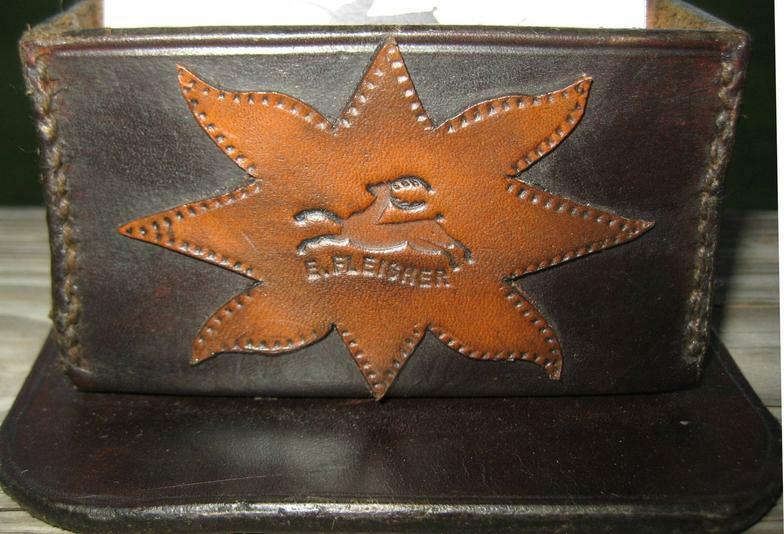 I mainly work with vegetable tanned leather, though occasionally bark tanned deer hide and vegetable tanned goat hide are used. My patterns are created from surviving original bags, photos of original bags and I have blended elements from different originals into my own patterns. Each pouch is dyed, burnished and oiled by hand. I have designed my own iron and brass buckles to make adjustable shoulder straps. I live in Newport, PA which is located along the Juniata River, north of Harrisburg, in Perry County. Please look at my For Sale page for Shot Pouches currently available. I am also accepting orders. Feel free to contact me to discuss your custom order. I am always looking for original shot pouches to study, photograph and possibly recreate.